I remember the acrid smell of something broken. Salty, sour, it permeated the Gulf Coast air like the scent of some fading electrical fire, or burnt gunpowder perhaps. A battle between sky, sea and land with humans in the crucible. Looking out across a nearly empty motel parking lot, broken glass dully shone in the morning light. An early morning haze blanketed the wounded sky. A haunted sky, not yet ready for the sunshine to plunge through the mask of the remnants of the hurricane. There had been only one room habitable in the one operating motel in Rockport, Texas. No power, no running water, but I’d taken it, as I’d need rest for the long days ahead. 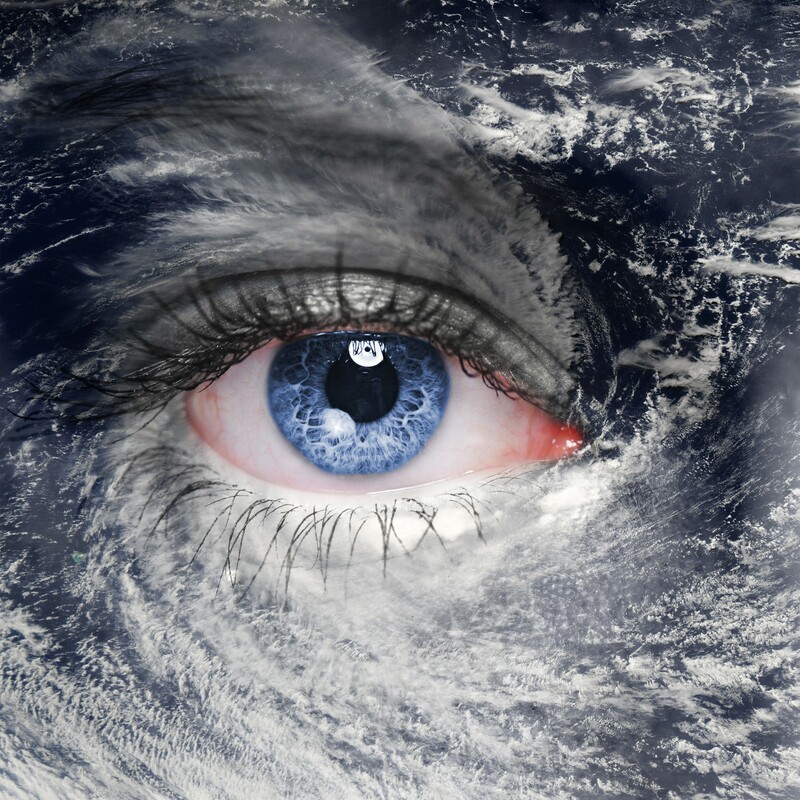 Only two days before, I’d watched- with much of the rest of the world, as Hurricane “Harvey” had slammed into the Texas Gulf Coast with a powerful banshee fury. As I watched the news coverage, I felt a deep hurt growing inside me, feeling helpless as the carnage unfolded. I knew the autistic persons I serve each day, particularly children- with their unique sensory challenges would be thrown about in awful, hidden ways as the storm tore apart their sense of security and overloaded their already overloaded Caregivers. As I intensely poured over news, social media, I looked for responses which would directly impact, give hope and encouragement to these persons and their families. While many necessary items were being assembled, merciful aid was dispensed even hours after the brutal passing of the hurricane, the personal, one-to-one encouragement for the most vulnerable was sorely lacking. Something simply had to be done, and I steeled my resolve to answer the hatefulness of Hurricane Harvey, and show up for frightened, hurting persons. Working with a lunatic urgency, I pleaded for donations, recruited a dozen volunteers, and together we assembled backpacks containing food, snacks, toys, books, incredibly soft blankets and more. We were ready and time was calling out, the “time for being fully present is now”. 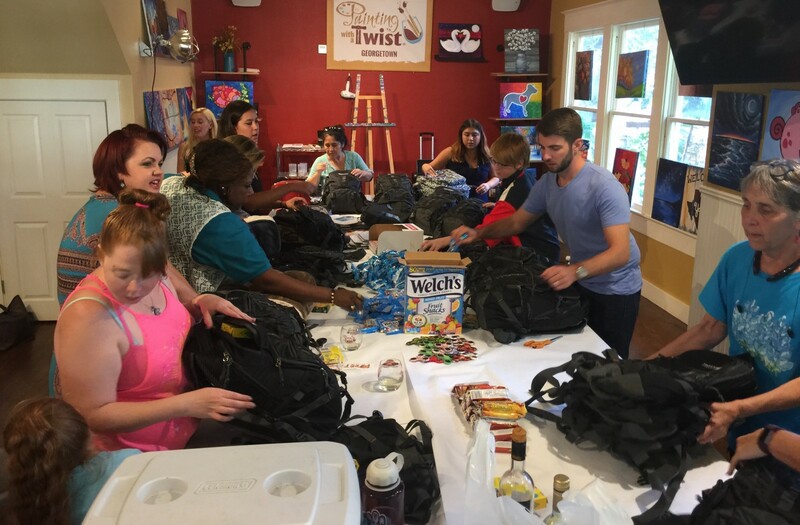 All the backpacks were ready, even as the dark skies of the Texas Gulf Coast were lit up with only the red, blue lights of emergency responders. The silent skies were muffling the cries of frightened humans. I waited, waited hours for someone to go there, to take these backpacks of hope to the troubled. Where were the helpers for the autistic persons on those muddy, smashed shores? A few calls came in saying someone or other would take the backpacks, put them in a warehouse and send them to the coast later. Once it was safe. My heart would not give my mind any rest. It must be done, and I knew the moment was calling me. And so, making hasty arrangements for my own family, I packed my old car up with the backpacks I could stuff into it, sent word ahead to friends in the area (though many were now incommunicado) and drove south towards the ruin of the town of Rockport, a place where Harvey had been particularly savage. The dirt road was hidden, first by time and then by the carnage of the hurricane. I drove until I could make no more progress, then on foot with a couple of backpacks on each shoulder, I climbed over broken limbs, pieces of houses, past mud covered animals wandering through broken things, around overturned cars and towards two special needs families living in their darkened smashed homes. He was 13, and his wheelchair was bent, mud caked, wedged against the wall near the off-the-hinges door of his home. His Caregiver, an Aunt I believe, carried him to me. And there in the wreckage, I held him against me, spoke words of encouragement, hope and delighted as he first brokenly, then wildly grinned at the gift of his backpack, the gifts from a distant, but oh-so-close community of care. Over the hours, the days, I went to them, often guided by word-of-mouth from the community, to locate them in darkened corners of the broken town. I wept in a parking lot with the arms of a Mom around me who told me how her autistic daughter was shell shocked, broken over the loss of her safe place, her room which now was scattered across yards, and in trees. Her favorite weighted blanket now hanging in tatters in the broken limbs of trees in what was once a welcoming back yard. Those hours, days, nights, passed in one long blur of motion for me. Now, I seem to remember only most clearly the faces of those young humans I reached out to. Faces of yearning, faces yearning to be lit with the joy of being known, valued, accepted and counted as fully human. Things are not as the ought to be in our culture, and the fury of nature only amplified a great wrong, a willful ignorance humans commit against one another. Autistic, neurodivergent persons are too often treated as second-class status human beings. Unique persons, yearning to be known, while the culture fights over causes, cures and jockeys for influence, money, adorning posters with sad looking faces of cartoon animated autistic persons. 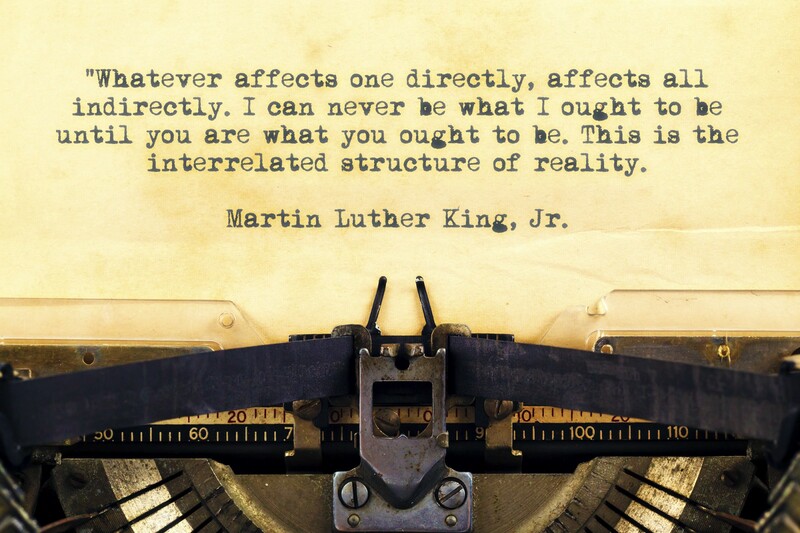 Today, we live in a wretched storm of human misunderstandings, and while we suppose it rages unchecked, it is actually a moment of true calling for us to dissent from the status quo, give ourselves to seek to know, accept and carry on our backs to all persons- justice, mercy and radical kindness. I knew then, as I walked into those broken places to reach our fellow humans, as I know now- we must go, we must all go into the broken place of our culture, demonstrate the best part of who we are as human persons, and in so doing- affirm we are all truly one, and that none of us is beyond the reach of the Greater Good. We are all Fully Human.